Rightly Dividing the Word of Truth. Dispensational chart by Clarance Larkin. Why do some Christian believe you must Keep the ten commandments to be saved, yet others believe salvation requires no effort whatsoever and is 100% secure from the moment of calling upon the Name of Christ? Why do some churches teach tithing while others do not? Why is it that some Christians believe Christianity supports Communism, while others say it supports capitalism? Why do many Christians believe the Government ought to use compulsion to coerce the Nation into compliance with Biblical morality, yet others like myself believe in a separation of church and state, religious liberty, and maintaining a liberal and tolerant society? Infidels and Bible critics say this confusion is caused by real internal contradictions within the scriptures. They say the bible is not a perfect divine Revelation but merely a fallible and flawed work, full of Human error, myth, superstition, and Barbaric/ savage ideology. They say the Bible ought to be treated like every other ancient text…that today only fools believe it to be the Word of the True God. I can sympathise with that view, yet by the grace of God, I have been granted the sight to see through this explanation, and a far greater truth has been revealed to me, the result of which is a powerful faith in the trustworthiness of the scriptures, and the realisation that the primary reason for the chaos within Christianity is because they have failed to grasp their Dispensational nature. The understanding of Dispensational truth highlights another vital aspect about being a Bible believer, in that it exposes what is at stake in regards to the ‘War of the Bibles’… the competition between the hundreds of English translations, and that the King James bible is Superior in every way to the flood of modern Per-versions. The reality is Dispensational truth is eroded to nothing in the modern translations which leaves The modern church in utter chaos! It is not surprising to me that this has caused many diligent Christians to loose faith in the inerrancy and trustworthiness of the Bible. Ie Modern translations have created a generation of Bible doubters rather than Bible believers. The primary mistakes made by English speaking Christians which lead them into error are two fold. The first is to abandon the King James Bible in favour of watered down Modern translations, and the second is to jumble up all the scriptures together, ie they have very rude systematic understanding of the scriptures. Many actually believe you can cherry pick any scripture you like and apply it to your life today. Some even practice the superstition of randomly opening up the bible and put their finger on a verse…and believe that that verse is a special message to them from God. What these childish people fail to realize is that the Scriptures must be carefully and skillfully handled…with great fear and trembling! Having laid out these two contrasting principles it may appear so obviously rational that for Millions of Christians not to grasp these simple truths seems absurd, yet this is exactly what has happened! It has happened because they have been taught to jumble up, to confound and contort the scriptures and this is how all the various cults and denominations, from the Mormons to the Roman Catholics, all claim to be the true church. The Habit at the heart of all the false doctrines, is to take scriptures out of their true context and misapply them ‘willy nilly’. It is my contention that when the scriptures are correctly understood in context… all so-called confusion and contradictions disappear, and portions of scripture that were once dark and a source of Dispute and doubt become fonts of Light and faith… and spiritual wisdom. *Grab your AV King James Bible if you have one! Also grab your Modern ‘translation’ too so you may compare bibles*. Perhaps the most important scriptures to apprehend in relation to how the Bible ought to be handled is 2Tim 2vs15. It is a very serious violation that its truth has been utterly distorted and hidden in virtually all modern translations…exposing them to be the works of ignorant and subversive minds. Firstly you must get hold of the word of truth! Ie you must get a trustworthy translation of the Scriptures in which you can have faith. That is the Key to understanding the Bible. The Bible is not to be jumbled into a lump. We must distinguish the various milestone events which mark off epochs, and signal dispensational changes that occur with the process of time. By Rightly dividing the Bible into its relative dispensations or Ages, the developing plan of God is revealed, each age having its own peculiar characteristics that differ from age to age, yet are part of an overarching scheme. Divdiing the scriptures dispensationally is essential because while Gods nature does not change, His covenants and how he deals with mankind does change with the process of time, so too does God progressively reveal truth to mankind. St Augustine’s “Distinguish the ages and the scriptures harmonise” is an appeal to Dispensational truth and the harmony of the scriptures that results. The scriptures may be laid out as a Timeline (See Larkin chart) that extends from eternity past, right through the creation of the universe to the present time, and then via prophesy projected far into the eternity of the future. In The First Chapters of the Book of Genesis Before Man fell into Sin, God gave Man the herb bearing Seed for Food, and the fruit of trees for food. 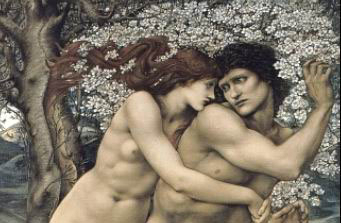 (Gen 1vs 26-29) Except the Fruit of the Tree of the knowledge of Good and evil.(Gen2vs15-17). 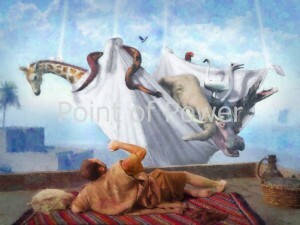 After Man sinned he was thrown out of the Garden and God covered their Nakedness with the skins of animals. This is where Animal sacrifices and the shedding of blood to cover sin originates. It is probable that after the fall Man also began to eat meat. Abel was a keeper of sheep, while Cain was a tiller of the Ground. Noah gives thanks to God. The Promise of a Kingdom. God calls out Abram (Abraham) and makes a covenant with him. God Promises Abraham Land and to be with him and his decendants and that Kings would arise from his seed. And Abraham believed God and it was counted unto him for righteousness. The covenant is sealed via the institution of ritual of Curcumcision. Abraham separates himself by leaving the Land of Ur and Follows the Lord God into the Land of Cannan. The Age of the Law. Later still after approximately 700 years after the Great Flood, God gives Moses a list of ‘Kosher’ Meats as part of the Jewish Law. Under the Mosaic Covenant and Law they were no longer permitted to eat “every moving thing” as Noah and his decedents were allowed under the covenant they had with God Almighty. 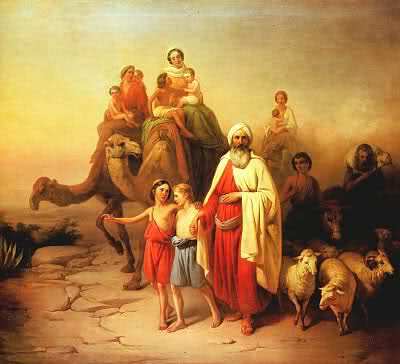 The Children of Israel under Moses had numerous dietary restrictions designed to make them ‘A peculiar people’ separate from the rest of humanity. They were to be Gods chosen People. From them would the Messiah be born. From them would God demonstrate himself to all mankind. Their covenant with God was conditional upon obedience. Conditional upon Keeping the Law of Moses. Should they live faithfully, God would reward them with blessing and plenty, should they break their covenant , then God would punish them, and so the history of Israel must be understood in relation to their conditional covenant with God. One of The meats they were forbidden to eat was Pork. Below is a Wikipedia link to Kosher foods that you may check out. Now I will expand upon this subject of Christ ministry to the Jews in following posts yet it is sufficient to note that ‘Christ the King’ was rejected by his people the Jews and he was crucified. St John tell us…”He came unto his own and his own received him not” (John1vs10). Now What is incredible to understand is that God was not surprised by Israel’s rejection of their Messiah. It was all foretold in many prophecies, and after the resurrection Christ Send Peter and the Apostles to re offer the kingdom to the jews and to preach that the Death of Christ was fulfillment of prophecy and proof that he was their Messiah. They did not preach that Christs death was an act of atonement for Sin because they did not understand that themselves. They preached it as an act of murder, as an act of rebellion and that The Jews stood in mortal danger of the judgment of God for rejecting his Christ. This is the thrust of the first portion of the Book of Acts. 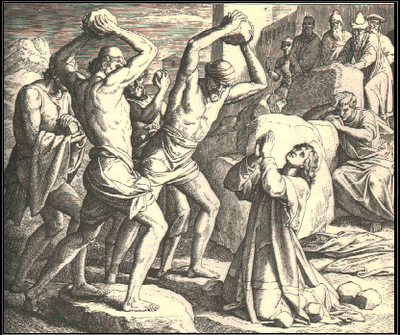 Yet Though many Jews did believe, ultimately this message from Peter was rejected as well… the Jews beginning a Pogrom of Persecution culminating in the stoning of St Stephen. The Pharasee Saul (St Paul) holds the coats while St Stephen is stoned to death. The End of the world could have happened right then and there, yet instead something truly amazing occurred instead. God reserved Israel for Judgment, yet threw open the gates of Salvation to the whole Gentile world! (The Gate was still open to any Jew whom wanted to be saved yet this New dispensation was completely different. Not part of the Jewish covenants or Law, and so very few Jews were willing to forsake their ancient customs and to join with Gentiles in a completely new Fellowship). What is even more amazing is that God chose one of the very murderers of St Stephen to be his chosen vessel and Apostle of this new Program of Gods Grace. 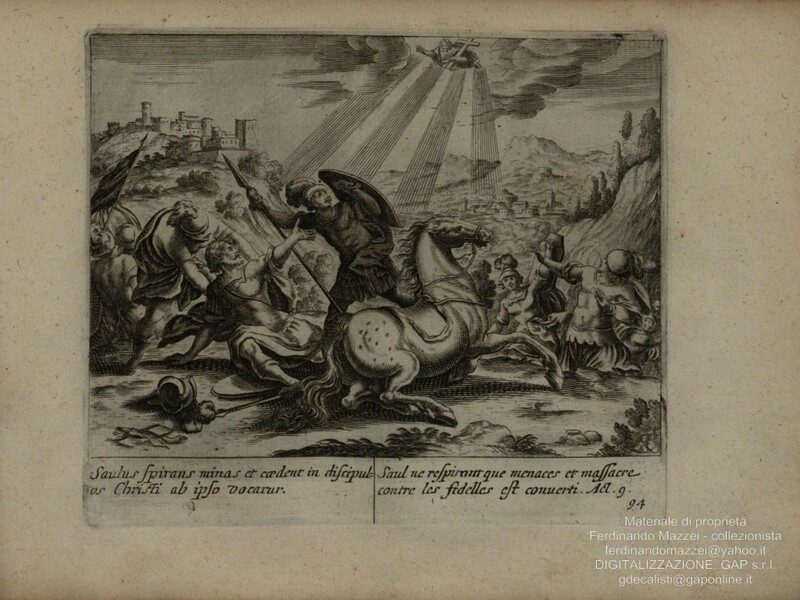 This person was St Paul. The second portion of the book of Acts shows the transition from Peters Jewish nationalistic kingdom ministry to Pauls individualistic Gospel of grace to the gentiles. Christ Saves the Chief of Sinners as a example of Gods absolute Grace. Paul said God chose him who was the chief of sinners, to demonstrate his absolute grace which was founded upon the New revelation That Christ death on the cross was a ‘covert operation’ that actually atoned for all the sins of Mankind so that whosoever received Christ, received the Forgiveness of God. *This is a completely New Gospel! * This has nothing to do with establishing Gods kingdom on Earth. We read that the Kingdom of God which was ‘at hand’ was postponed and that Israel instead were to “ fall by the edge of the sword, and shall be led away captive into all nations: and Jerusalem shall be trodden down of the Gentiles, until the times of the Gentiles be fulfilled.Luke21vs24) … because they did not recognize the time of their visitation (Luke19vs44). This punishment being in exact accordance with the conditional covenant they had with God. Thus there was to be both severe Judgment, and Amazing Grace! St Peter vision which showed him the dispensational change from Law to Grace. I will cut this off here. I hope I have shown enough for readers to appreciate how things change quite dramatically throughout the Bible and grasp the importance of ‘rightly dividing the word of truth.’. The Bible Is The word of God Almighty. It is extremely complicated and must be handled with great care and skill. The world is filled with false prophets and Ministers of Satan… wolves in sheeps clothing whom mishandle the scriptures and contort it into lies. 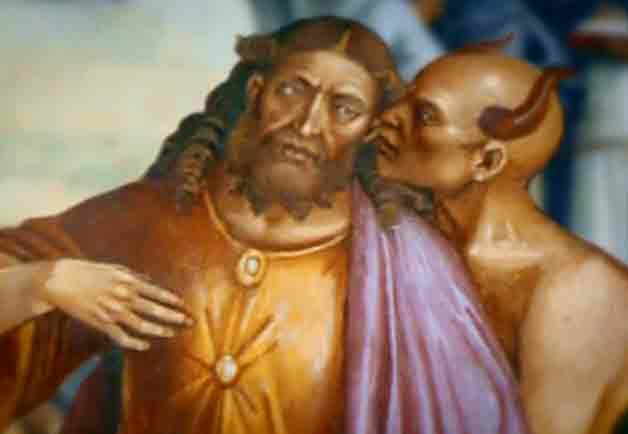 I will discuss this Evil mishandling of the scriptures in more detail in future posts, yet I must leave off now. I pray that you may see the truth of dispensational right division and realize that while all scripture is given by inspiration of God and profitable for doctrine, for reproof, for correction, for instruction in righteousness… that none the less there are important distinctions to be made, and that not every scripture is applicable doctrine for today. This means that we must be careful to give the doctrines of grace as taught by St Paul pre-eminence over the doctrine of other teachers and prophets…even over The 4 gospels which contain the teachings of The lord Jesus Christ himself! As Paul said to the Thessalonians…”For this cause also thank we God without ceasing, because when you received the word of God which ye herd of us, ye received it not as the word of men, but as it is in truth, the word of God which effectually worketh also in you that believe…” (1Thes2vs13). *Understand that Pauls words are Christs! * specifically given to him for us Gentiles live in the present dispensation of grace, which will soon end with The Rapture and revelation of the Anti-Christ. Update: 9-12-11. Silly me left several very important portions of scripture out that are relivant to our dispensation! In relation to what We Christians eat, We are ‘secure in Christ’… so much so that we can even eat meat that has been offered to idols! This ‘Liberty’ is found in 1 Corinthians Chapter 8. Thus as Christians we can safely accept invitations from Non-Christian friends and family to attend their festivals, celebrations etc without fear… and thus show that Christianity is a faith of tollerance, and Good will. from the faith’ that will happen ‘in latter times’… thus we see that the church will fall into apostacy and will *Fail to rightly divide the word of truth* and will start to preach jewish legalism instead of Christian grace and will teach that ‘Christians must obey the Old testament Kosher laws… which do not apply in this age of grace. It is a great tragedy that so many so-called Christians are not Bible believers, but treat the word of God as if it is merely the words of Men. Hear The words of St Paul Himself…. Whereof I was made a minister, according to the gift of the grace of God given unto me by the effectual working of his power. May God Bless you and open your eyes. Amen. Dispensationalism is One of the most important doctrines I have ever learned. Understanding the principles of dispensationalism is vital for the Christian as ignorance of it is the most common reasons for misinterpretation of the scriptures, and a primary reason why there is so much dissention between Christians, why there are so many Cults and denominations, and why Christians have been deceived into supporting evil Political Ideologies and agendas. The subject is massive, and so I must resist the temptation to cram too much into this first Blog post. This will necessarily be a brief general introduction to the subject, and I will discuss it further in the Future. I added an update to this today. It is to fix an important omission that ties up the message in relation to the current Dispensation of Grace… and the Liberty that we enjoy. Tim, this is a great introduction to Dispensationalism. But you have yet to convince me. And one thing you say worries me. we must be careful to give the doctrines of grace as taught by St Paul pre-eminence over the doctrine of other teachers and prophets…even over The 4 gospels which contain the teachings of The lord Jesus Christ himself! You have stepped out onto the slippery slope! There is *nothing* that should be given pre-eminence over the teachings of Jesus Christ! 16 In the day when God shall judge the secrets of men by Jesus Christ according to my gospel. I am happy to have pricked your nerve! It was intentional and absolutely nesasary. Many Christians would harden their hearts and stop their ears at that point, and refuse to consider the possiblity that Paul has greater Authority in our Dispensation, than Christ himself… failing to grasp the fact that Pauls words *Are the very inspired words of Christ himself* for our age. The ‘Eye opener’ of Dispensationalism is that Moses words were the very words of Christ too!… for the Jews. It is not a situation of Giving Christs ‘Red lettered’ sayings absolute pre-eminence over the rest of the Bible, but realising his message was delivered at a specific time and place and addressed to specific people, aimed at acheiving a specific purpose in the plan of God, and so too was Moses before him, and Paul after him. Each Prophet having a specific ministry. Thus the words of Moses carried the absolute authority of God for the age of The Law, and Paul carries absolute authority for the Current age of grace. Many things are doctrinally the same right through Moses, Christ and Paul, and those things are therefore non-controversal, yet with things like Curcumcision, and what is permissible regarding the eating meat that these injuctions change with changes in dispensation and that therefore it is important to grasp the correct injunction for the dispensational age you are looking at. When this is done these differences cease to be confusing, and it become apparant what scriptures apply to our current dispensation, ad which ones do not. And Paul was not simply an ‘after thought’ in Gods plan. he was specailly chosen to be *Our Apostle*…. The Minister of God to the Gentiles. The Reveiler of ‘The Mystery’ and the Gospel of Grace. I have started my sunday message on this subject and hope to have it posted before midnight! I actually left out a very important verse which I was sure that I put in! it is this one by Paul…. “For this cause also thank we God without ceasing, because, when ye received the word of God which ye heard of us, ye received it not as the word of men, but as it is in truth, the word of God, which effectually worketh also in you that believe.” 1 Thess 2vs 13. Here we have Paul himself claiming to speak for Christ. Could The scriptures be any clearer on this point of the authority of Paul? Thus we are to have full confidence in Pauls authority as our Apostle. Excellent piece of writing and great point concerning the importance of the word’s of Paul given by God to him to deliver. 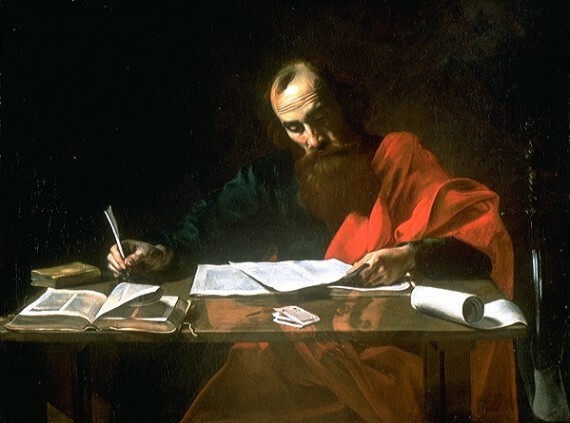 Paul’s writings reveal additional facts not fully described in the first 4 Gospels. Thank you.